You are here: Home / Nebosh course in kolkata / Green World Group’s Nebosh IGC Batch in Kolkata Batch Celebration!!.. Green World Group’s Nebosh IGC Batch in Kolkata Batch Celebration!!.. GREEN WORLD GROUP a leading provider in Kolkata, with an exciting fabulous offer. Enroll NEBOSH IGC with GWG & Attain Globally Approved Dual Level-3 HSE Qualifications with additional Exciting FREE International HSE Certificates !! 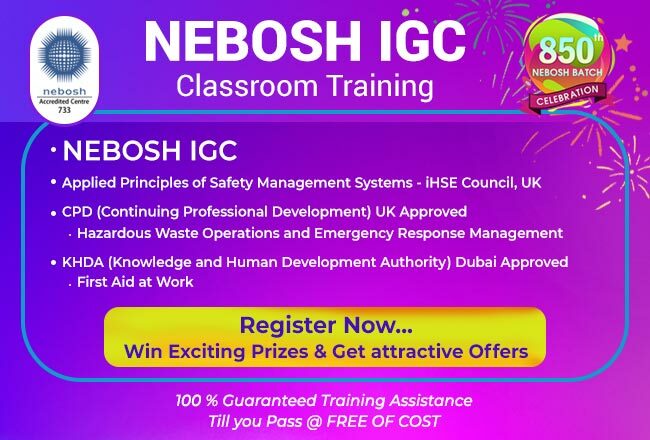 NEBOSH IGC – kolkata @ Get Free Training Until You Pass The Exam ! Kolkata – 700 091 Tel:+033 40730046.